The Elephant Shed is an Open Source PostgreSQL Appliance that bundles and integrates proven components, required for easy management of a PostgreSQL server. This presentation reasons why Elephant Shed was created and shows the technical details and the advantages it brings. Support Centers employ leading members of a number of Open-Source projects. 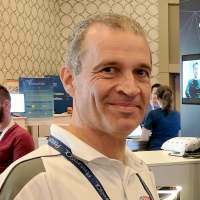 He has been Open-Source developer for almost twenty-five years working on different Open-Source projects among which Debian and PostgreSQL are most widely known. He also has done a lot of Open-Source related presentations on all sorts of events doing a lot of Open-Source evangelism.